Core Rule book for 8th Edition. This listing is for a new, unopened Adeptus Mechanicus collectors edition codex. I’ll post by 1st Class post or Standard international. Any questions, please ask. Thanks for looking. One codex Thousand Sons, excellent condition, & associated datacards, also in excellent condition. House Delaque are the spymasters of the hive, providing information to the rulers of Necromunda. Delaque spies are said to operate throughout the hive, observing the activities of the other Houses. The other Houses of Necromunda are understandably distrustful of the Delaques. Fans of Narrative play can play through updated Cities of Death missions or use Battle Honours to level up units across multiple campaigns. Updated points values for Citadel and Forge World miniatures. 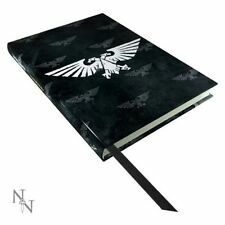 NEW 8TH EDITION CHAOS SPACE MARINES HERETIC ASTARTES CODEX II. 2019 EDITION. Adeptus Mechanics Codex Warhammer 40k 8th Edition. Condition is Used but Like New. Dispatched with Royal Mail 1st Class. Warhammer 40k Craftworlds Eldar Codex 8th Edition. Condition is Used. Dispatched with Royal Mail 2nd Class. 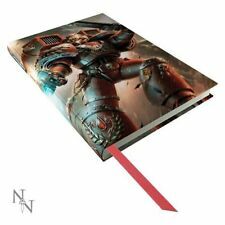 Codex Adeptus Custodes hardback book and Datacards, good used condition. Will be well packed, please see my otter Adeptus Custodes auctions. I will combine postage for UK bidders, international bidders I cannot guarantee any combined postage as eBay global shipping manages this. Payment within 3 days of auction end otherwise will be relisted. The factories on Necromunda run deep beneath the planet's surface, these lower levels are referred to as the Underhive. Necromunda is typical of most hive worlds, resources are scare, life is cheap. 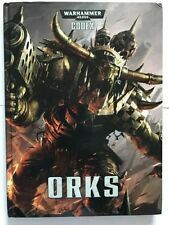 Warhammer 40k Ork source book. Condition is Used. Dispatched with Royal Mail 2nd Class. 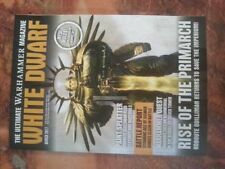 Warhammer 40000 Rogue Trader Hardback Rulebook. Condition is Used. Dispatched by MyHermes. Other postal services available at buyer's expense. A comprehensive look at the evolution of power armour. Here we have the 8th edition warhammer 40k Astra militarism / Imperial Guard datacards, this item is in a good used condition and comes from a smoke and pet free home. 1989 Citadel Fantasy Miniatures Book - Rogue Trader Warhammer Golden Demon. Condition is Used. Dispatched with Royal Mail 2nd Class Large Letter. Warhammer 40k Rogue trader Rulebook. Condition is Used. Dispatched with Royal Mail 2nd Class. This item is 24 new red D6 dice from the Warhammer 40k Dark Imperium box set. This listing is for a new, unopened Eldar Craftworlds collectors edition codex. I’ll post by 1st Class post or Standard international. Any questions, please ask. Thanks for looking. T`AU EMPIRE CODEX. NEW AND SEALED.